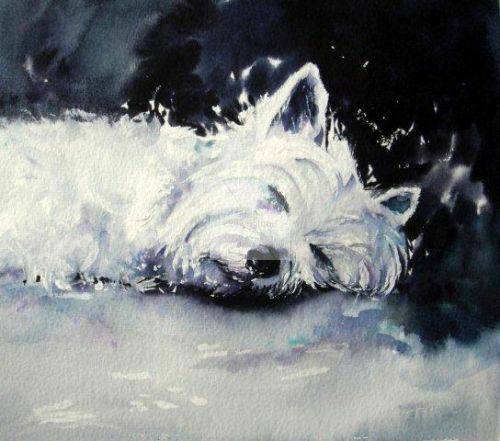 'West Highland Terrier Asleep' is an original watercolour painting which has been framed in a white wood frame. Total size 480mm x 380mm. Please contact me for further details.